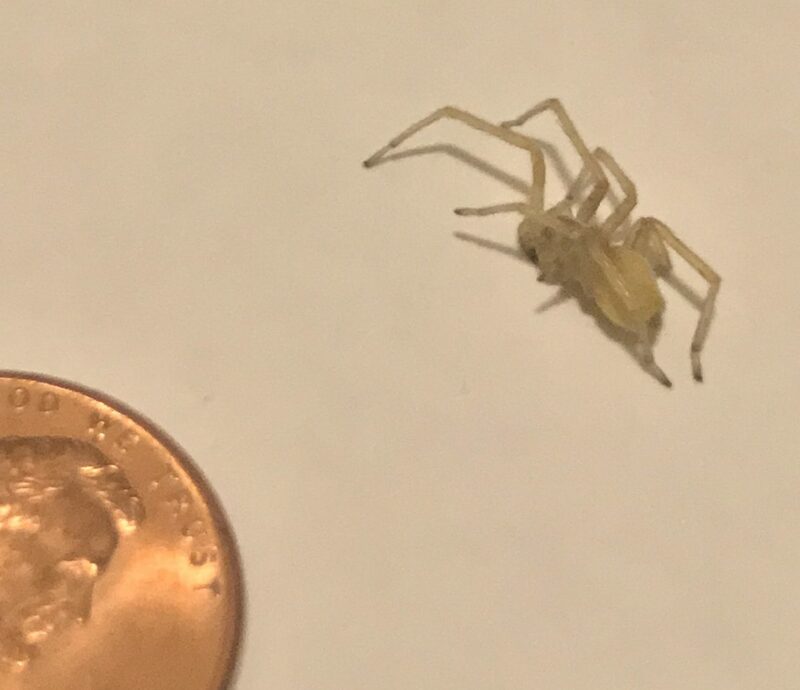 Found in my room and ended up killing it on accident. Notable black marks at the joints and tips of the legs as well as at the top of the abdomen. Guessing it’s an immature recluse but i might be way off. Hi, this is probably Cheiracanthum mildei, a Long-legged sac spider. The black feet are a handy part of identifying them. They tend to live in houses, usually near the ceilings. There is a very similar species, Cheiracanthum inclusum that tends to be found outdoors. We make the ID determination (educated guesses) based on if the Cheiracanthum species spider was found indoors or outdoors. It isn’t possible for us to tell them apart from photos. I’ve accidentally killed yellow sac spiders too, they seem to be softer-bodied than most spiders.